Newborn jaundice (producing yellow skin) can have many causes, but the majority of these infants have a condition called physiological jaundice, a natural occurrence in the newborn due to the immature liver. This type of jaundice is short term, generally lasting only a few days. 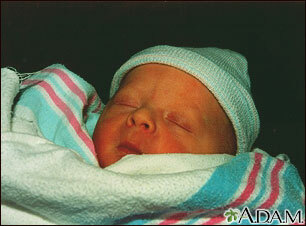 Jaundice should be evaluated by a physician until decreasing or normal levels of bilirubin are measured in the blood.